Toyota Tundra delivers everything that you would expect from a full-size pickup. There is a wide array of advanced technology, safety features, and cab configurations to help you find the Tundra that’s perfect for your life. Tundra has a reputation for delivering long lasting quality and has been named by Kelly Blue Book as the 2016 Best Resale Value among Full-Size Pickup Trucks*. 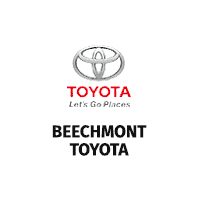 Buy with confidence knowing you’re backed by the Toyota Certified Pre-Owned Vehicles program offering a 12-month/12,000-mile Limited Comprehensive Warranty and a 7-year/100,000-mile Limited Powertrain Warranty**. Browse current options and find the perfect Tundra. *Vehicle’s projected resale value is specific to the 2016 model year. For more information, visit Kelley Blue Book’s KBB.com. Kelley Blue Book is a registered trademark of Kelley Blue Book Co., Inc.